Dry eye is a chronic condition expressed as the body’s inactivity in producing any of the components of the three film layers or in maintaining cell health on the corneal surface. Our dry eye treatment strategy is to stimulate and support the body’s tissues, organs and functions which produce a healthy tear film and maintain corneal health. This should be the primary treatment strategy, and results should be analysed before determining if punctual plugs, artificial tears or chemical anti-inflammatories are considered. The patient should also take adequate amounts of Omega 3, 6 and 9 essential fatty acids, keep well hydrated by drinking plenty of water and take good quality nutraceuticals. Dry eye syndrome is usually not a serious condition, however there is no treatment that will cure the symptoms permanently. Range of treatments can control your symptoms. Mild to moderate cases of dry eye syndrome can usually be successfully treated using eye drops that contain ‘tear substitutes’, a liquid that is designed to mimic the properties of tears. 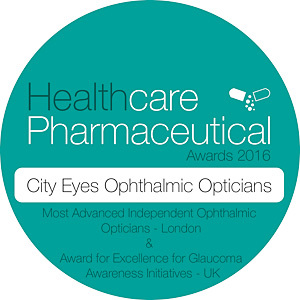 City Eyes stock Systane and Systane Ultra solutions, and Clens 100 for contact lens wearers. It is also possible to make changes to compensate for environmental factors. For example, placing a humidifier in your home to reduce dryness, or changing your work habits to rest your eyes. Severe cases should always be discussed with an optometrist, who will suggest a suitable treatment.